For prehistoric foragers, collective survival demanded resourceful individuals who could hunt wild aurochs, forage for fruits, and fish. 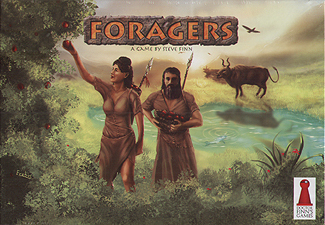 In this game, players take on the role of nomadic foragers who must use their wits to collect foods and share them with the tribe. The one who can best maximize resources and energy will be able to gain the most respect and earn the title of "tribe leader."